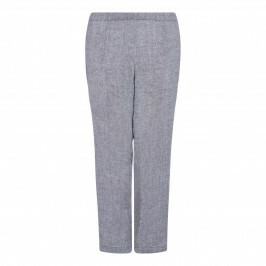 Some might argue that, in summer months, grey is the perfect replacement to black as your wardrobe basic. Wonderfully versatile, this linen top can be worn with the coordinating trousers for a pulled-together look, but how about with some jeans and vibrant accessories on a day out and about too. Grey linen top. 90% Linen, 10% Polyamide. Hand Wash Only.